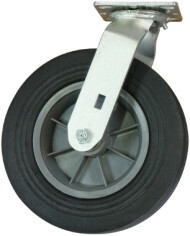 If you want to push or pull your rotisserie out into the grass, gravel, dirt, or just up and down off dovetail trailers, we recommend our Off Road Wheel Kit. This kit fits our rotisseries. 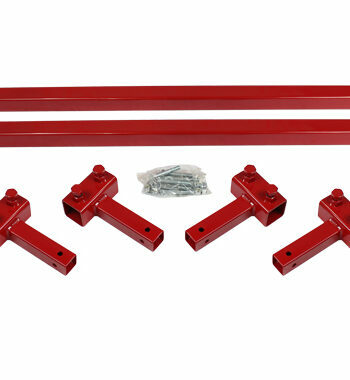 You get four (4) metal brackets and four (4) 10″ diameter solid rubber casters, 2 swivel and 2 rigid, all rated at 550 lbs per caster. 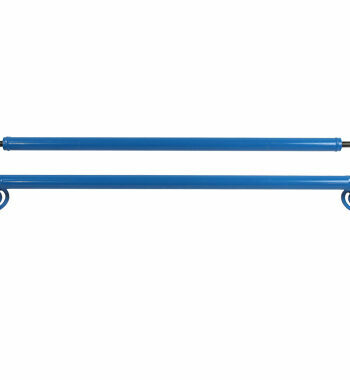 We include 2 swivels and 2 rigids so that you push and steer at the same time. 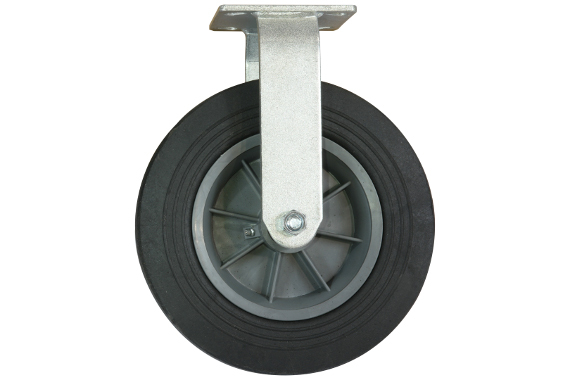 We changed to solid rubber wheels a few years ago because the hub on the pneumatics would fail under load, especially when they were under inflated. 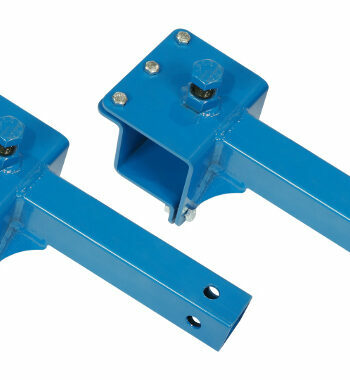 The brackets are welded at an offset angle to lock tight under load. No hardware necessary. 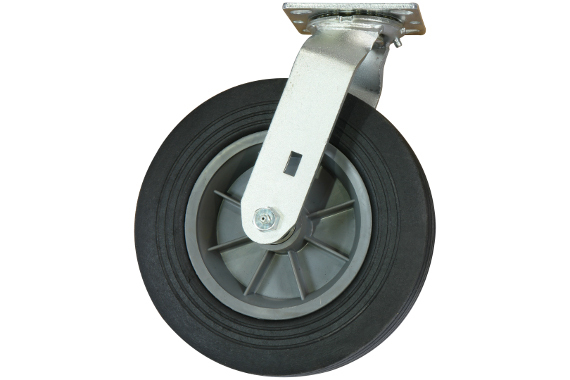 These solid rubber swivel casters are much faster at rotating to the direction of travel. 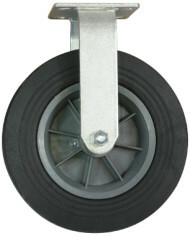 With wheel kit installed weight limit is 1650 lbs. your rotisserie out into the grass, gravel, or dirt. 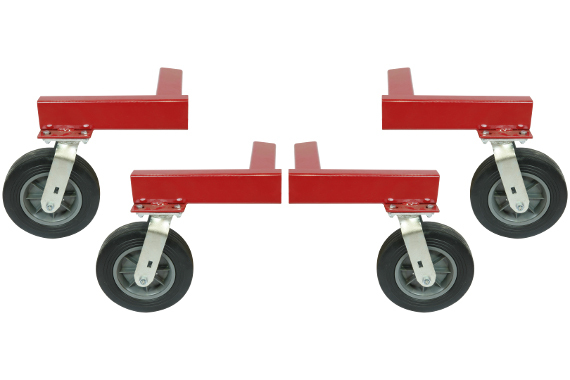 We include 2 swivels and 2 rigids so that you push and steer at the same time. 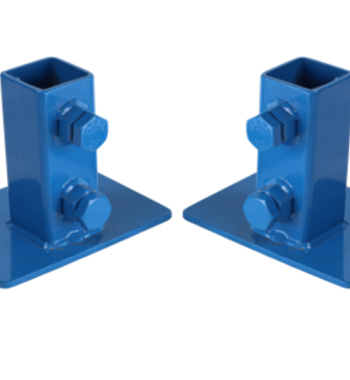 The steel brackets slide into the end of the tubing on each leg. 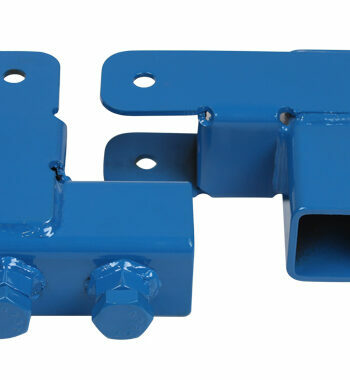 The Existing 5" casters on the rotisserie will dangle in place so you don't have to remove them. 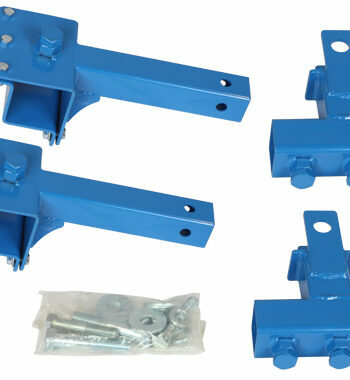 The design will keep them in place without bolts or pins.